Several staffers have been let go. 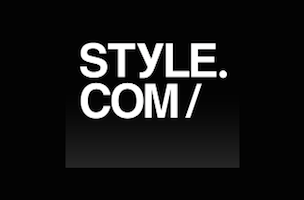 A cold reality: Now that Style.com is being transformed in into an e-commerce site and any remaining articles are getting absorbed into Vogue.com, there isn’t really a need for editorial staffers. The axe fell after Condé Artistic Director and Vogue editor Anna Wintour met with the Style.com team. A source told The New York Post “Anna gathered everyone at Style.com, told them thank you for your service,” and then… Well, they’ll have better days, let’s just say that. Rumor is at least five staffers were cut, including a fashion market editor and photo editor.